Below, get the skinny on the season and TV series finales for your favorite CBS shows. The network has announced the finale storylines for Supergirl, Scorpion, Limitless, NCIS: Los Angeles, Criminal Minds, Blue Bloods, Madam Secretary, The Good Wife (ending), Elementary, The Big Bang Theory, 2 Broke Girls, The Amazing Race, Hawaii Five-0, Mike & Molly (cancelled), NCIS, NCIS: New Orleans, Survivor, Mom, The Odd Couple, and Criminal Minds: Beyond Borders. Since The Good Wife is ending and Mike & Molly has been cancelled, the descriptions below cover those shows’ TV series finales. Several shows have yet to be either cancelled or renewed. 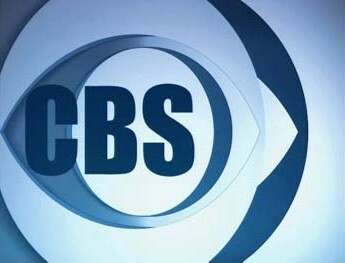 Check the status of your favorite CBS shows, here. 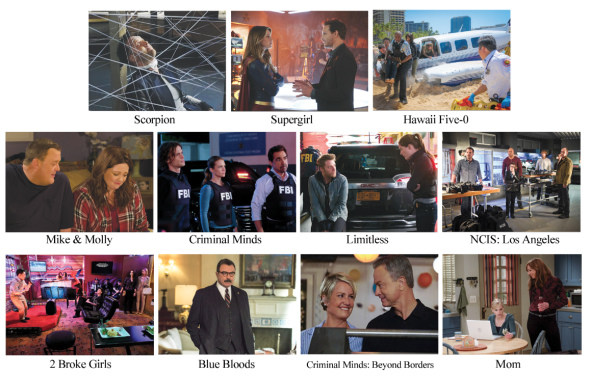 Here is the complete list of upcoming CBS season finale storylines, courtesy of the network. CBS announced today the storylines for its 2015-2016 season finales, featuring dramatic conclusions, big reveals and two series finales. “Better Angels” – Supergirl (Melissa Benoist) is forced to do battle with an unexpected foe and must risk everything – including her life – to prevent Non (Chris Vance) and Indigo (Laura Vandervoort) from destroying every person on the planet. “Toby or Not Toby” – Team Scorpion must outthink their mentally unstable ex-Scorpion member Mark Collins (Joshua Leonard) after he kidnaps Toby (Eddie Kaye Thomas) and threatens the Doc’s life unless his cunning demands are met. “Finale: Part Two! !” – Following a stunning betrayal to their team, Brian (Jake McDorman) and the FBI race to stop an NZT-enabled Sands (Colin Salmon) and his associates from orchestrating an international incident. “Talion” – A distress code from Sam’s son, Aiden (Tye White), signals to the NCIS: LA team that Tahir, Sam’s arch enemy, has taken over Aiden’s military school in San Francisco, prompting Sam (LL Cool J), Callen (Chris O’Donnell), Kensi (Daniela Ruah) and Deeks (Eric Christian Olsen) to rush north in hopes of apprehending Tahir and freeing the hostages. “The Storm” – The BAU is shocked when SWAT apprehends Hotch (Thomas Gibson) and accuses him of conspiracy. As the team scrambles to prove his innocence, they suspect a larger plot is on the horizon. Guest stars include Frances Fisher as convicted serial killer Antonia Slade, and Sheryl Lee Ralph as Rossi’s ex-wife, Hayden Montgomery. “Blowback” – Frank (Tom Selleck), the Mayor (David Ramsey), Erin (Bridget Moynahan) and the DA’s office contend with public outrage after a grand jury doesn’t indict an NYPD officer for the controversial shooting of a teenager that was caught on video. “Vartius” – When Elizabeth (Téa Leoni) receives shocking news about an important political operative, she navigates a tricky political situation with President Dalton, who she learns may be considering replacing her as Secretary of State. Also, Stevie (Wallis Currie-Wood) and Jareth (Christopher O’Shea) get engaged. “End” – The series reaches its dramatic conclusion. “A Difference in Kind” – Holmes (Jonny Lee Miller) and Watson (Lucy Liu) face reprisal from the perpetrator who wants Morland (John Noble) dead, and realize they dangerously underestimated the scope of their new enemy’s influence. Judd Hirsch is introduced as Leonard’s (Johnny Galecki) father. Also, Leonard’s mother, Beverly Hofstadter (Christine Baranski), and Sheldon’s mother, Mary Cooper (Laurie Metcalf), return. “And the Big Gamble” – Max (Kat Dennings) and Beth (Beth Behrs) discover Han (Matthew Moy) is in hot water with a gang after he amasses a substantial debt from gambling on women’s tennis and can’t repay. With the one million dollar prize on the line, the final three teams race from Shenzhen, China, to Santa Barbara, Calif., for the final leg of the Race, and face a gut-wrenching leap of faith: jump off a building more than 150 feet high, and perform the harrowing task of synchronized mountaineering. Phil Keoghan hosts. “Pa’a ka ‘ipuka i ka ‘upena nananana” – Trapped inside a dilapidated building in Oahu’s Chinatown, Five-0 must protect a wounded Gabriel (Christopher Sean) and plan their escape when enemy gunmen storm the building looking to kill him and anyone who gets in their way. “O ke ali’I wale no ka’u makemake” – In order to stop a meth epidemic on the Island, McGarrett (Alex O’Loughlin) and Danny (Scott Caan) go undercover as drug pilots, but when McGarrett is seriously wounded, Danny is forced to break their cover and land the plane in order to save his partner’s life. “Curse of the Bambino” – Carl (Reno Wilson) convinces Mike (Billy Gardell) to go with him to see his psychic and Peggy (Rondi Reed) drags Molly (Melissa McCarthy) to her church to pray for something they’ve all been waiting for. “I See Love” – Mike (Billy Gardell) and Molly (Melissa McCarthy) and the family have an impromptu gathering to reminisce about everything that has gotten them to this point, complete with a final fight between Joyce (Swoosie Kurtz) and Peggy (Rondi Reed). “Family First” – NCIS, FBI and MI6 continue an international manhunt for an escaped British spy who is targeting current and former agents. “Sleeping with the Enemy” – The NCIS team uncovers a mole in the ranks while working with the Department of Homeland Security to locate 900 missing pounds of explosives that pose an imminent threat to New Orleans. Castaways from all three tribes – Brains, Brawn and Beauty – remain, and one will be crowned the Sole Survivor during the two-hour season finale, followed by the Live Reunion Show (10:00-11:00 PM) hosted by Emmy Award winner Jeff Probst. “Atticus Finch and the Downtrodden” – Christy’s (Anna Faris) dream of becoming a lawyer is in jeopardy when she is hit with the reality of how much her education will cost. Also, Bonnie (Allison Janney) becomes the disciplinarian with Violet (Sadie Calvano) back living at home. “All the Residents’ Men” – Oscar (Matthew Perry) and Felix (Thomas Lennon) run a heated campaign for president of their building’s tenants’ association, but Oscar doesn’t fully realize everything the position entails. “The Ex-Factor” – After Murph (Geoff Stults) persuades Oscar (Matthew Perry) to try online dating, Oscar finds himself on a blind date with Felix’s (Thomas Lennon) ex-wife, Ashley (Christine Woods). Teri Hatcher guest stars. “El Toro Bravo” – The IRT heads to Pamplona, Spain, for the running of the bulls, where the ears of a missing American tourist are found. “Paper Orphans” – When the daughter of an American family visiting Haiti to adopt a child is kidnapped, the International Response Team travels to the island nation to try to find her. Also, Jack (Gary Sinise) and his wife, Karen (guest star Sherry Stringfield), prepare to send their daughter to college. What do you think? Which CBS season and TV series finales are can’t-miss episodes, for you? Tell us! More about: 2 Broke Girls, 2 Broke Girls: canceled or renewed?, Blue Bloods, Blue Bloods: canceled or renewed?, CBS TV shows: canceled or renewed?, Criminal Minds, Criminal Minds: Beyond Borders, Criminal Minds: Beyond Borders: canceled or renewed?, Criminal Minds: canceled or renewed?, Elementary, Elementary: canceled or renewed?, Hawaii Five-0 (2010), Hawaii Five-0 (2010): canceled or renewed?, Limitless, Limitless: canceled or renewed?, Madam Secretary, Madam Secretary: canceled or renewed?, Mike & Molly, Mike & Molly: canceled or renewed?, Mom, Mom: canceled or renewed?, NCIS, NCIS: canceled or renewed?, NCIS: Los Angeles, NCIS: Los Angeles: canceled or renewed?, NCIS: New Orleans, NCIS: New Orleans: canceled or renewed?, Scorpion, Scorpion: canceled or renewed?, Supergirl, Supergirl: canceled or renewed?, Survivor, Survivor: canceled or renewed?, The Amazing Race, The Amazing Race: canceled or renewed?, The Big Bang Theory, The Big Bang Theory: canceled or renewed?, The Good Wife, The Good Wife: canceled or renewed?, The Odd Couple (2015), The Odd Couple (2015): canceled or renewed?